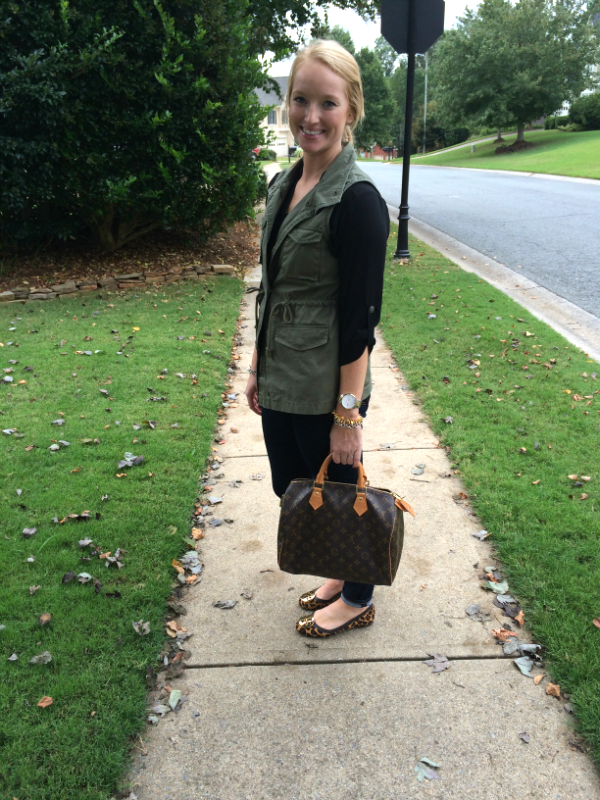 That can probably go down in history as the cheesiest title ever on SCxo, but it is what it is… There’s so many ways to style an olive vest during the fall season, and this look is one of my favorites for everyday wear. You can throw it over dresses, sweaters, and stripe/flannel/solid tops for an effortless layered look. 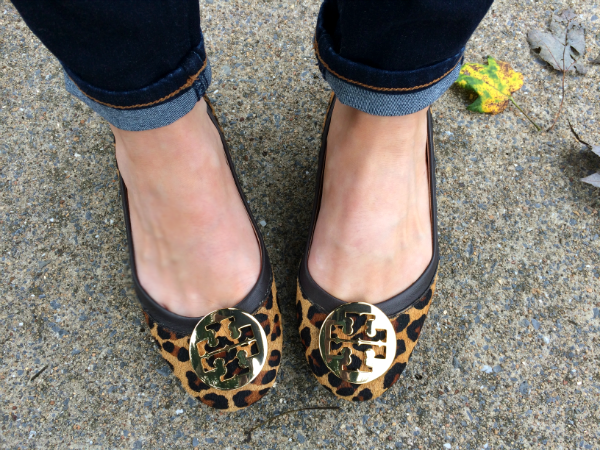 And don’t act surprised that I paired it with leopard flats. These are still in the breaking- in stage, but I’d say they are well worth the blister on my heel. 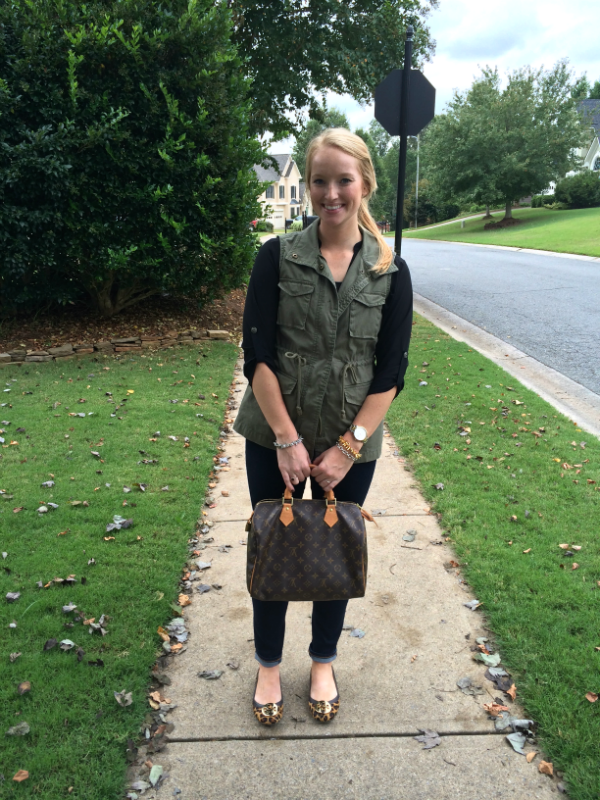 Love that vest and the shoes! Super cute! Hope you had a great weekend! I love that vest as well and those shoes are great as well. I adore the way you have put this look together! Super cute! I love vests, but struggle to find shapes that I like. This one is great! You styled it perfectly too! 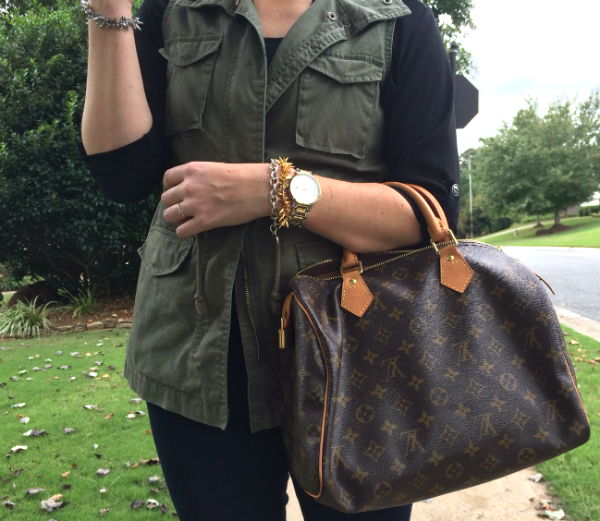 Love the way you put this look together! I have the older version of that vest, I was skeptical about the drawstrings but they look great. Love the flats (I have the older version as well).